When you plan to arrange a digital photo album or get photos ready for print, adding a shadow to each image can provide a classier touch and make them look better-defined. While most advanced image editing software programs require a fairly complicated procedure for shadowing, including the addition of several layers, with reaConverter batch image shadowing takes no more than a few seconds. Adding a shadow to your images is not only a fast and simple process, but also allows for advanced customization options. 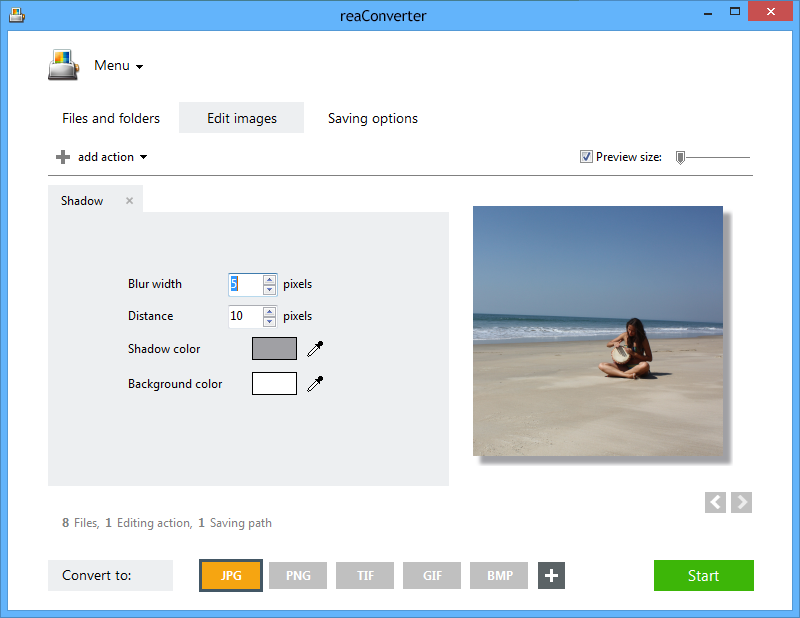 reaConverter lets you pick the desired blur width and distance of the shadow from the image, and provides handy color pickers for choosing the shadow and the background color. Load all the images you intend to shadow. Select them one by one, add entire folders, or use reaConverter's convenient drag-and-drop tool. Here you will be able to choose the desired blur width for the shadow, and its distance from the image. The effect of the figures you enter for these features can be seen in real time in the right side of the window, if you tick the Preview box. reaConverter also features 2 color pickers you can use directly on the preview image to define the shadow color and the background color. In the Saving options tab, decide on a location for your newly shadowed images. 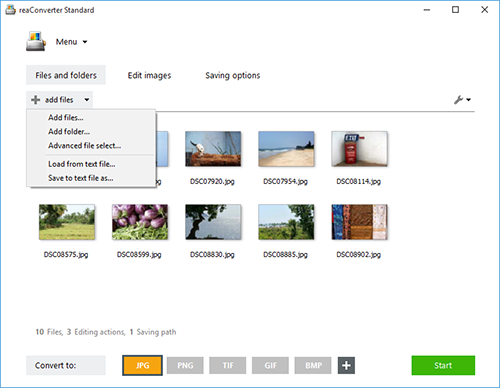 You can save them locally, in the source folder or in a newly created one, or in your Google Drive, Dropbox, Box.net or SkyDrive folders. Last but not least, you can opt for converting your images into a new format by clicking one of the buttons conveniently placed in the lower part of the screen. 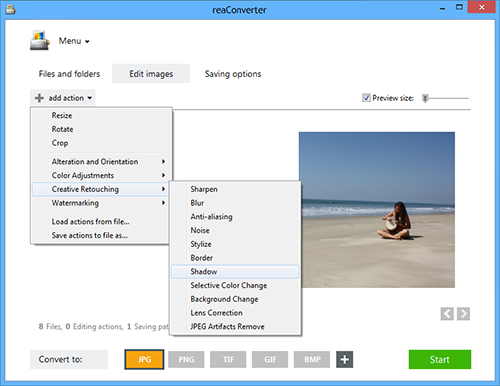 reaConverter offers a comprehensive list of extensions to choose from. Finally, click the Start button and your images will soon be ready! Command-line shadow tool is an advanced feature meant for professional use, and is available in Pro edition only.